Manatee County to have your pet's dental done. With qualified doctors that can keep your cost down and treat your pet as family. 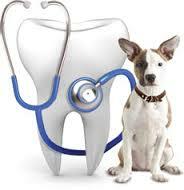 Call them for your pet's dental appointment (941-747-8808). Be sure we have all your pets vaccinations up to date when making your appointment with them to save you time and money. It is estimated that 80% of pets exhibit the beginning stages of periodontal disease by age 3, which is why dental exams and teeth cleanings are essential. Also, studies indicate that pets with good oral hygiene tend to live 2 to 4 years longer than pets who neglect dental care. While periodontal disease is entirely preventable, when left untreated it can lead to cardiac disease, kidney infection, liver infection, or stroke. 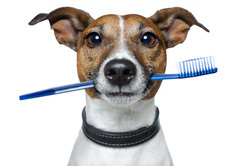 Pet dental exams are similar to human dental exams and involve teeth cleaning and polishing.